AURA is an instrument with manual, semiautomatic and automatic operation, for compression, traction, scragging, bending and high load cutting tests. 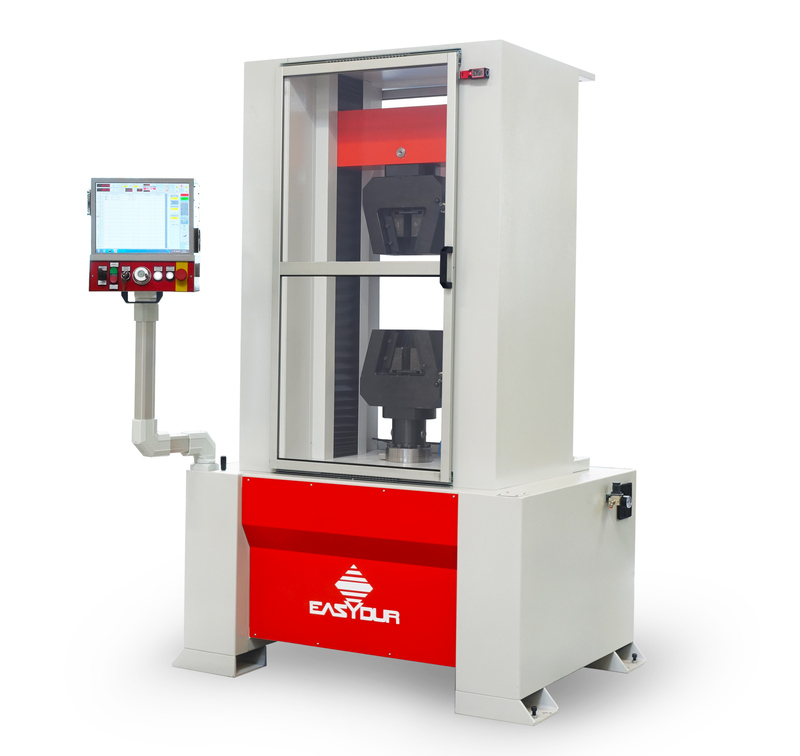 The instrument has electromechanical or hydraulic operation and is modular with several load cells of various capacities (from 1 kg up to 200 TON) installed simultaneously, with reading at 1000 Hz and 32,799 divisions easily selected by software. The cells are protected against overload and with the release of the automatic axis in the event of out of scale values or of unforeseen impact and they have integrated compensation of cell sagging. Our electronics can also control multiple axes and allow stress cycles with a sinusoidal profile. AURA carries out high-precision tests on springs, wires, steel bars, rods for reinforced concrete, pipes, ropes, hooks, chains, mesh and on various types of materials. Depending on the type of test to be performed, the instrument can be equipped with different accessories such as automatic hydraulic grippers, bending equipment, or grippers for ultimate tensile strength and specific equipment for large springs, such as railway and car springs. The tests can be performed simply by using the buttons on the front panel, without having to access the previously set programs. The instrument is equipped with a computer with touch screen and software entirely developed by Easydur and based on Windows with internal management of archives, statistics and certificates in Excel format, totally modular and customisable by the customer. Ovens and climatic chambers for temperature tests. interface for acquisition of external data such as gauges, comparators, etc.